BRYAN EATON/Staff photo. 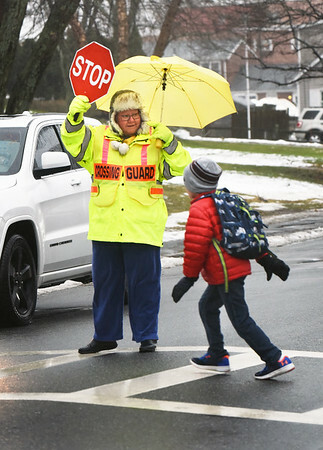 Newburyport crossing guard Janet Crump greets youngsters as they leave the Bresnahan School while wearing a raincoat and holding an umbrella Monday afternoon. Rain is to continue today along with warmer weather.